Home / SkinCare / Ooh! - Oils of Heaven Natural Tamanu Rejuvenating Face Oil 30ml. Ooh! - Oils of Heaven Natural Tamanu Rejuvenating Face Oil 30ml. The Ooh! 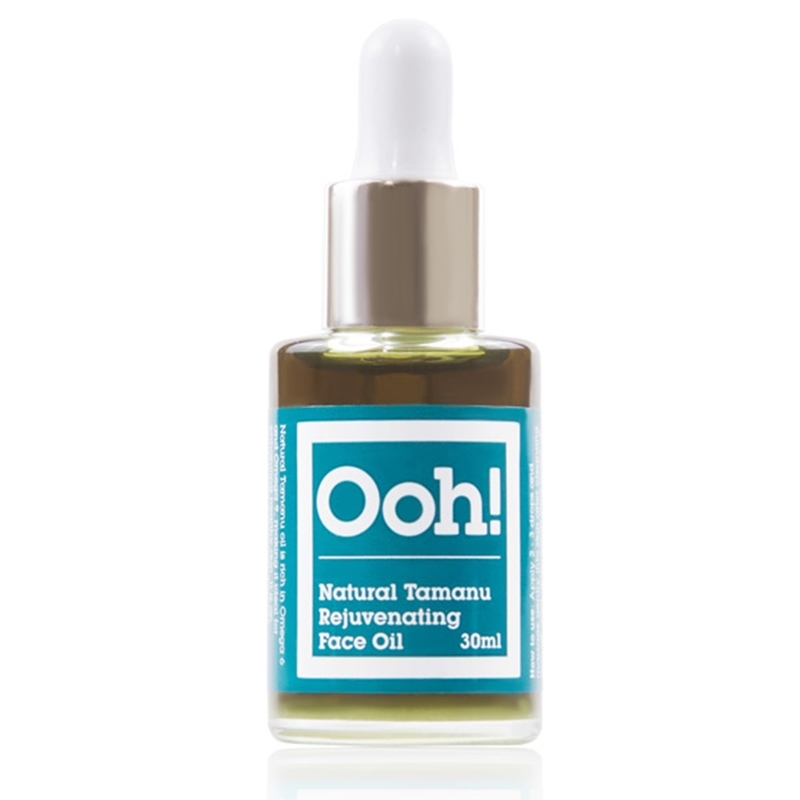 - Oils of Heaven Natural Tamanu Rejuvenating Face Oil 30ml is a multitasking skin saviour suitable for all skin types. The beneficial skin benefits by introducing Tamanu rejuvenating oil into your skincare routine is endless thanks to its natural properties. 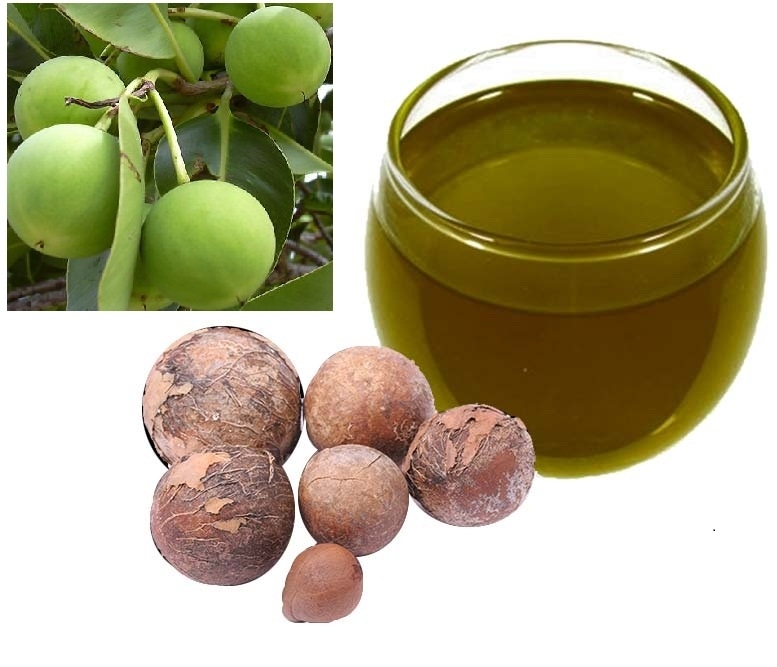 Tamanu oil comes from the nut kernels of the Tamanu Nut Tree. Its scientific name is either Calophyllum inophyllum Seed Oil or Calophyllum Tacamahaca Seed Oil, depending on the variety of Tamanu Tree. 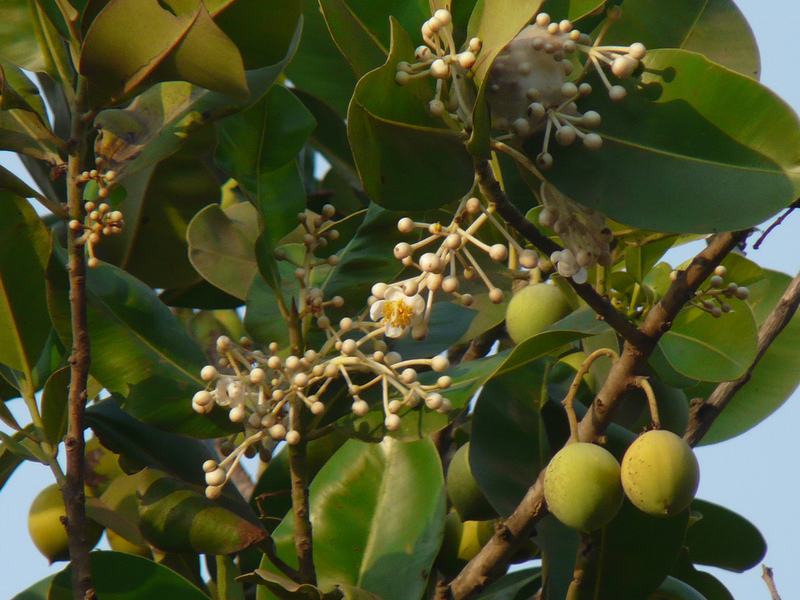 The tree flowers twice a year and produces clusters of fruit which are spherical (round). Inside these fruits is a nut and inside the nut is a pale, odourless kernel from which the oil is extracted after these kernels have cured naturally over a 6-8 week period. 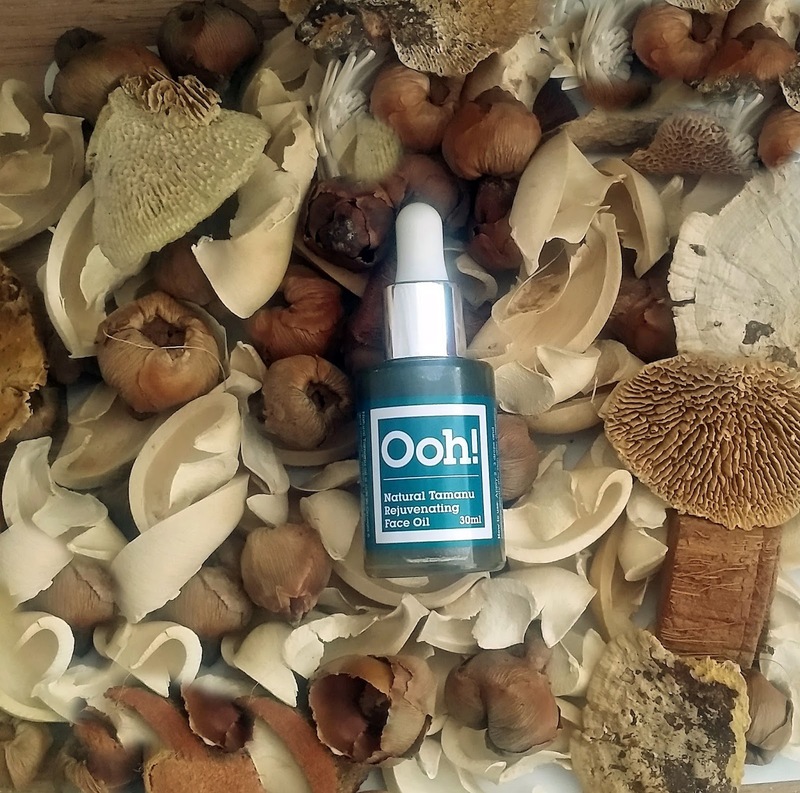 If your looking for a natural skin treatment the Ooh! - Oils of Heaven Natural Tamanu Rejuvenating Face Oil 30ml covers a wide range of treatments. If you suffer with acne or acne scars, eczema, psoriasis, dermatitis or looking for a stand alone anti-ageing product, the rejuvenating face oil would be a welcomed addition for you. Tamanu oil is rich in Omega 6 and Omega 9, and has a spicy, nutty smell and is absorbed easily into the skin without clogging up pores. Tamanu oil is rich in fatty acids that help nourish skin promoting elasticity and firmness whilst the antioxidants help fight off the free radicals that bombard your skin creating fine lines and wrinkles. Tamanu oil also has UV protectant properties, applying this under your usual sunscreen will help boost and protect your skin. How to use Ooh! - Oils of Heaven Natural Tamanu Rejuvenating Face Oil 30ml. Apply 2 - 3 drops and massage gently into skin after cleansing. Can be used underneath your make-up. Suitable for day or night care as well as for skin with stretchmarks and scarring. Do not use in sensitive area around eyes. Store out of direct sunlight. Ingredients in Ooh! - Oils of Heaven Natural Tamanu Rejuvenating Face Oil 30ml. 100% Calophyllum Inophyllum seed oil. Tamanu oil is antibacterial, anti-inflammatory and moisturising and when purchasing a 100% Tamanu Oil it should have a dark green colour which may vary slightly depending on the variety. However, be wary of a yellowish-coloured oil as this usually means it has been tampered with either through mixing with other oils or due to some type of refining process. You can be assured the Ooh! - Oils of Heaven Natural Tamanu Rejuvenating Face Oil 30ml is of high quality so you and your skin can experience the benefits of this naturally derived oil. Applying to skin on its own or over your usual serum, you only need a small amount when applying. The Tamanu glides over skin with ease before absorbing into skin when using circular movements. Your skin will feel instantly soothed and moisturised without feeling overly greasy or sticky. You can then apply your favourite moisturiser followed by your sunscreen to complete your skincare routine. The Ooh! - Oils of Heaven Natural Tamanu Rejuvenating Face Oil 30ml is a luxury face oil that can fit easily into anyone's skincare routine and is suitable for all skin types, just remember to store it out of direct sunlight. Head on over to ManOrganic to purchase and experience the natural rejuvenating skincare benefits for yourself. X Neil.